The above picture is of the Branch Directory page when you first enter it. 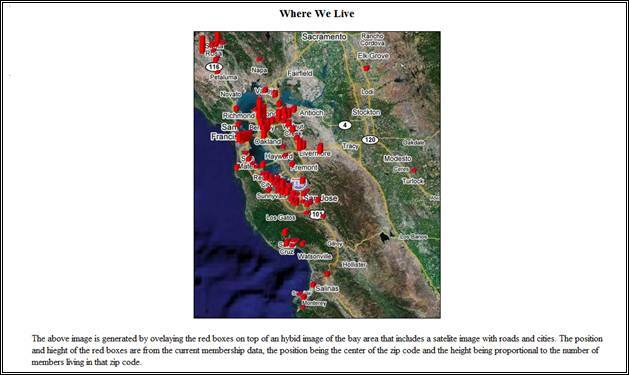 Clicking the Where We Live link will take you to the following page. This is a graphical representation of where the members of the branch reside. The height of the boxes is proportional to the number of people living in the Zip Code that it is centered on. This is from the current directory data. Clicking on the My Profile link will display your current directory date. This data has been obscured for obvious reasons. You can upload a photo of yourself for display in the directory by clicking the Upload Photo button. This works in the same manner as uploading a photo for the Home Page. If you click the Edit button, the following window will display. This display has been blanked. Enter your data. If the Publish Email checkbox is checked, your email address will be displayed in your directory entry and other members of the branch will be able to send you email. If it is unchecked and you provide an email address, it won’t be displayed in the directory and other members of the branch will not be able to send you email. You will still receive emails notifying you when the R&S becomes available and other emails from the branch. If the Publish Profile checkbox is clear, you will not be displayed in the Branch Directory. The same note applies about email as detailed above. Note, you need to have an email address in your profile to be able to view the member only portions of the website, without it, you can’t login to the website. The Delete button next to a phone number will remove that phone number from the directory. The Add button will add an entry for a new phone number. Notice that there is an area to enter Personal/Work Phones and an area for Home phones. Numbers entered in the Home Phone areas will be added to all member’s directory entries that reside at your address. After changes are made, click the Submit button. You will be asked to confirm changes. Check the checkboxes to confirm the changes. If your address is similar to another member’s, you will be asked if that address should be used. Check the checkbox to confirm that you are co-resident. Click the Save Changes button to make the changes. 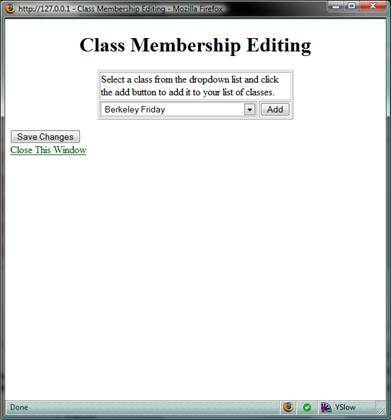 If you click the Edit Classes button in your member profile, the following form will be displayed. Select a class you attend from the dropdown list and click the Add button. If a class is listed that you don’t attend, click the Delete button next to the class to remove it. When the changes have been made, click the Save Changes button to save them. The Directory of First Names, Directory of Last Names, and Directory by Classes links allow you to find other members in the branch. When you find a directory entry for a person, if there is a Send Email button in their directory entry, you can click it to send them email. You can send email to other members by clicking the Send Email button in their directory entry or clicking on any of the email links throughout the website. 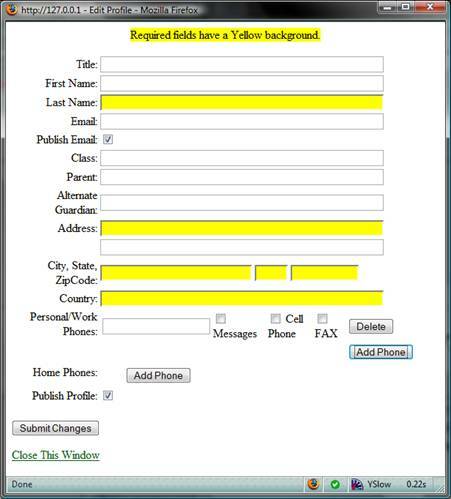 This will bring up an Email Input form. 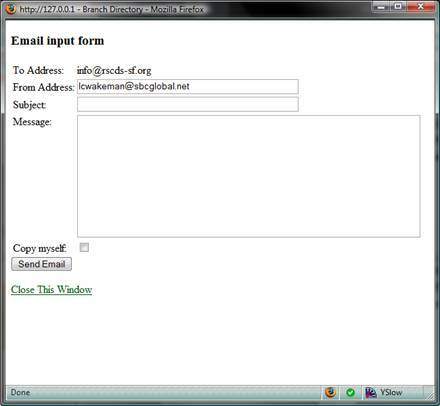 If your email address is known, the From Address will be filled in and disabled. If it is empty, enter your email address. Enter the Subject and the Message. If you want a copy sent to yourself, check the Copy myself checkbox. Click the Send Email button and a confirmation page will be displayed.